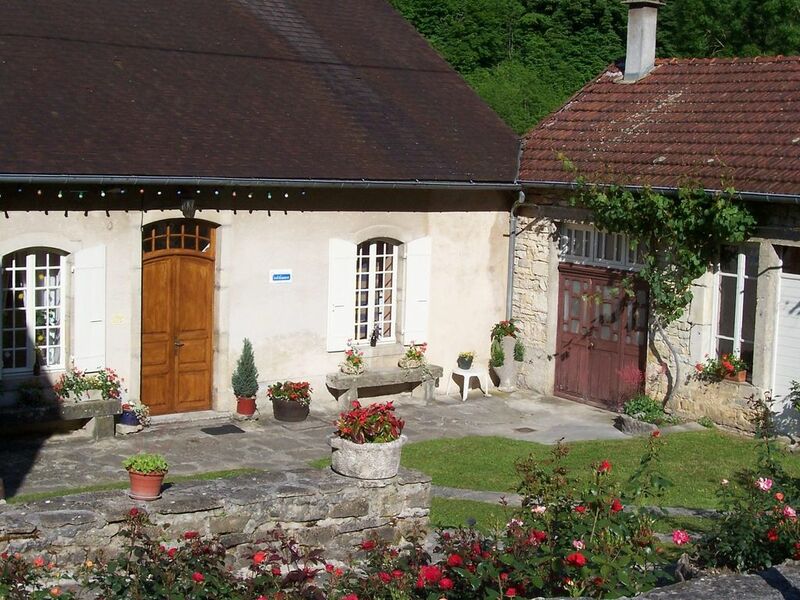 In an exceptional Jura what the secluded Baume les Messieurs, with its caves and waterfall, its Abbey of the eleventh century; village classified most beautiful villages in France (3 stars), small town character Grandfather, website natura 2000; discover our house. with fridge freezer, oven, microwave. Television. Bathroom, toilet, V C M. Wifi connection. Room 1: 1 bed of 2 people and living room TV DVD. Bedroom 2: 1 bed of 2 people and 1 bed 1 person. Washing machine in separate room, terrace, garden furniture, barbecue, public parking. Located in the heart of the village, close to the Abbey, large courtyard, relaxing and flowers (rose garden), very quiet nights. Near lakes and waterfalls, many walks and hikes. Weekly rates: from 360 to € 400 depending on season. Weekend (2 nights): 160 €. For more information call 0384355872..